Carlo Ancelotti entered the scene at the beginning of last season with intentions to transform and mould the football to his own style and leave a blueprint. Unbeknownst the diamond midfield acutely failed and a return to the idiosyncratic 4-3-3 established by Mourinho was summoned. But on Tuesday against Copenhagen, the Chelsea manager effaced the formative identity and crafted a basic 4-4-2 in the first leg of the last 16 knockout stage. Scoring 103 goals in the league, the Blues resumed normal service with the same panache and attacking zest, leaving spectators purring and believing Chelsea to be champions elect. A sudden turnaround of matches and they are now scrambling for Champions League qualification, with the same competition remaining the only genuine opportunity of success this year. Combinations of Ray Wilkins being released, a myriad of players losing form and fatal defensive errors have all contributed to the downfall. 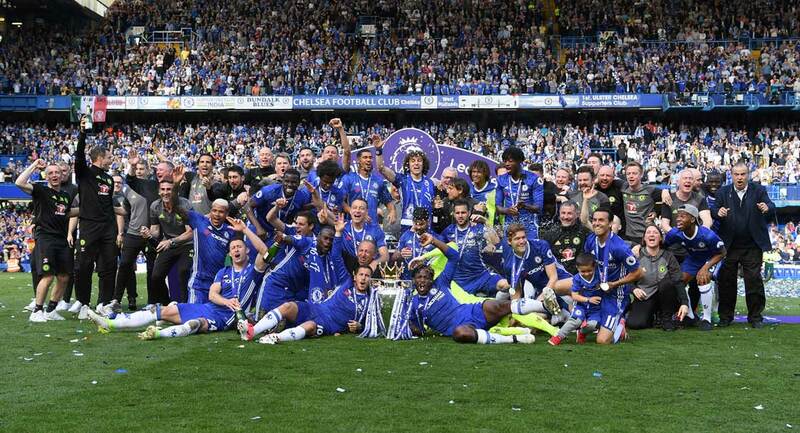 What is more conclusive to this season’s shortfalls is Chelsea at times have simply been found out. Man City led the way, absorbing the pressure of our forward play before unleashing counter-attacks, followed by Sunderland repeating the formula at the Bridge with increased pressure applied on the midfield. Then recently Liverpool came and stupefied our attacks with 5 in defence, before pinching a goal in an otherwise stale encounter. It became disconcerting not because the boys in blue were not playing well, but opponents were no longer fearful. Teams no longer retreated to limit the amount of times Chelsea made their net bulge, but did so to engineer quick, swift counters. Many alluded that the formation had become stagnated and fresh approaches were required, and against Everton and Copenhagen, Ancelotti resonated the thinking and instructed a 4-4-2. Granted Copenhagen are the minnows of the knockout round and returning from their two month winter break, they will not be Chelsea’s greatest test this year, but Chelsea still looked fresh with signs of returning to their pomp, not least because they found much desired width. The formation is possibly stimulated by new recruit Fernando Torres, as Ancelotti cannot afford to leave the £50 million signing on the bench, and it is hard to believe he could hold the frontline alone as well as Didier Drogba. Opting to partner the Spanish international with Nicolas Anelka in Denmark paid dividends as the two linked well together, as did Torres and Lampard. The formation created a new dynamic with provisions of width to be counted on in order to stretch the play and create space. Even Ramires stepping inside from right midfield allowed Bosingwa to be direct, providing Copenhagen with another problem to contend with. There are many positives to be taken from the performance of those who took to the pitch on Tuesday night, mainly the team collectively appeareaed uplifted, Anelka had a spring in his step, Torres growing in confidence and Essien showing symptoms of his best. The new formation also gives Ancelotti a plan b, allowing him to choose a strategy and change midway to confuse and fluster the opposition. The danger Chelsea face is the potential threat of the midfield being flooded and dominated, particularly against Tuesday’s opponents Manchester United. Presumably Chelsea will revert to 4-3-3 on to keep the game tight, but if Ancelotti chooses to keep the flat-four midfield it is vital the two central midfielders are protected, particularly as United traditionally play with three central midfielders against Chelsea. One of the two strikers will need to drop deep to pressure the holding midfielder when not in possession, leaving a greater balance for the rest of the team defending Cech’s goal. Ancelotti’s exhumation may have come late in the season, but in the way supporters note that miserable November evening defeat to Sunderland as the start of Chelsea’s deterioration, perhaps Copenhagen can be remembered as the kick start to the remainder of the season and a new Chelsea.